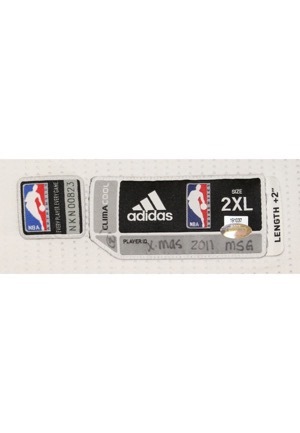 On the front left tail is the Adidas manufacturer’s tag with “SIZE 2XL” with an attached flag tag reading “LENGTH +2””. Handwritten on this tag is X-mas 2011 msg” and a Steiner hologram serial number “191037”. 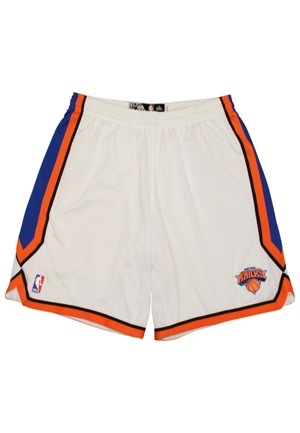 Adjacent to the left is a “NBA AUTHENTICS” tag with serial number “NKN00823”. On the left inseam are two tags, one with a list of body fabrics and wash instructions and an additional Adidas tag. Attached to the inner rear collar is a flag tag reading “MADE IN THAILAND 2XL2”. 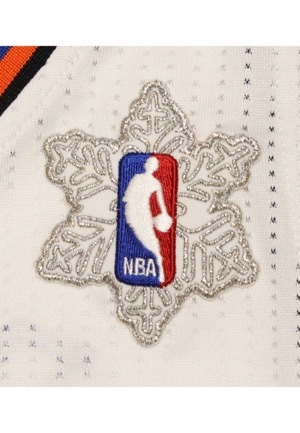 On the upper left chest is the official “NBA” logo inside of a snowflake which was worn on Christmas day. Across the front reads “NEW YORK” in orange on blue tackle twill. 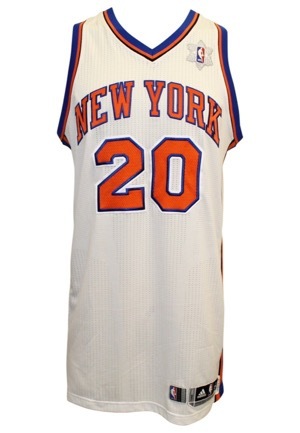 Adjacent below and on back is the player number “20” in orange mesh on blue on white tackle twill. Just below the rear collar is the “NYK” logo patch. 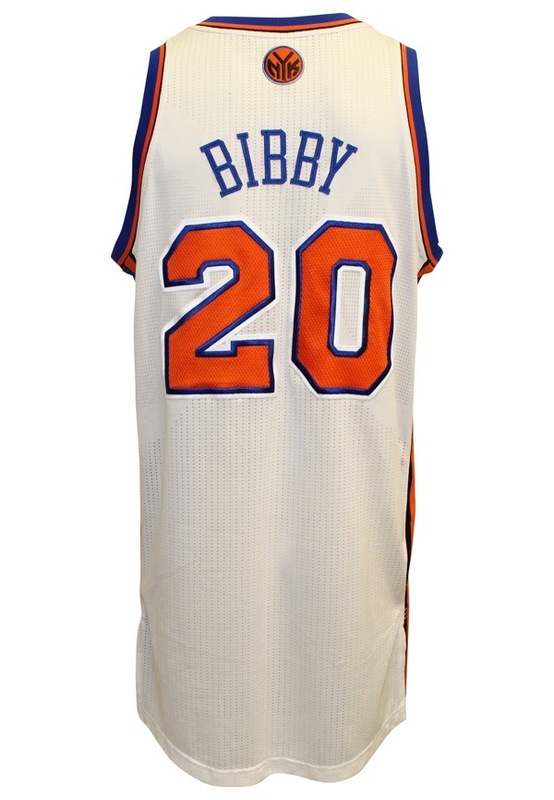 Across the back is the player name “BIBBY” in blue tackle twill. 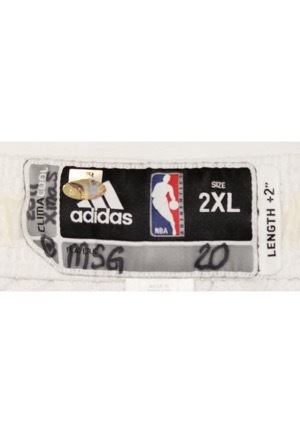 In the rear waistband of the shorts is the Adidas manufacturer’s tag size “2XL” with an attached flag tag reading “LENGTH +2””. Handwritten on this tag is “2011 Xmas msg 20” in black marker and a Steiner hologram serial number “191254”. Attached below is a “MADE IN THAILAND 2XL2” flag tag, a flag tag with shorts materials and washing instructions and an additional Adidas flag tag. This uniform is properly tagged, was presented to us as game-used and in our opinion shows appropriate use.